SHOXS patrols coasts all over the planet, and keeps men and women in uniform safer and injury-free. 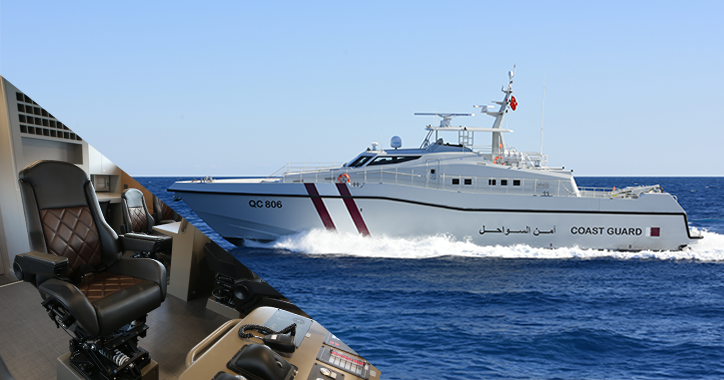 The Qatari Coast Guard has acquired ten high speed offshore patrol vessels, a 110 Hercules multi-role patrol craft built by Ares Shipyard in Antalya, Turkey. The vessel, 34 meters in length, is built to travel at high speeds: max speed is 30 knots. The boat is designed for search and rescue, anti-terrorist protection, and coastal surveillance. SHOXS 2400 shock mitigating seating was selected for the captain and officers’ seating to keep the crew comfortable and safer while underway. Ergonomic, shock-absorbing seat designs reduce fatigue and enhance performance on long patrols. 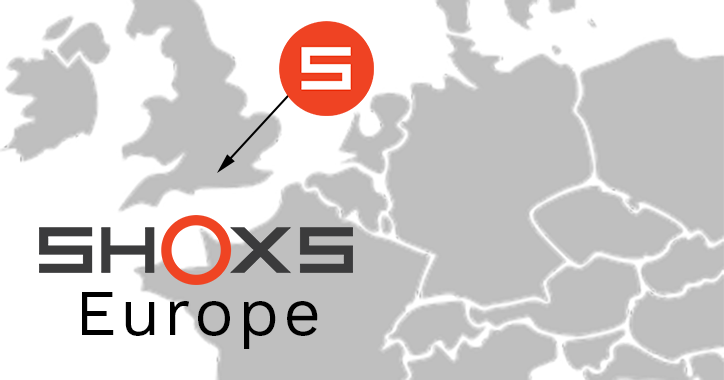 SHOXS is pleased to announce the grand opening of a new office in Blandford, United Kingdom to offers service and support to customers in the greater Europe area. SHOXS is pleased to announce the grand opening of a new office in Blandford, UK to offers service and support to customers in the greater Europe area. The 2600 square foot office and warehouse, located in close proximity to the southern coastal regions, will be led by Andrew Hughes, Business Development Manager at SHOXS Europe. We’re excited to see the SHOXS office open in Europe because it demonstrates our commitment to growth and expansion,” commented Andrew Hughes. “Our mission is to deliver outstanding service, and we believe local support is one of the ways we can continue to provide value to our customers. "SHOXS is dedicated to maintaining and expanding its competencies and expertise across the globe to address the diverse needs of its clients. The new SHOXS Europe location will provide local sales and technical support and will stock parts and spares for faster deployment. 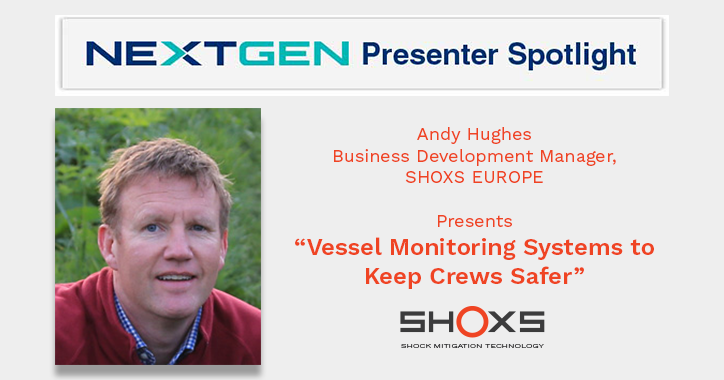 SHOXS is pleased to support NEXT GEN 2019, an international maritime industry exchange combining technical presentations with dynamic panel discussions. The sessions bring together an international group of 25 experts armed with the latest knowledge to identify challenges and highlight potential solutions within the worldwide maritime sector. Focused on high-speed professional watercraft in the under-24 metre sector, this unique program of one-day safety workshops is being held at the Grand Harbour Hotel in Southampton on April 2-4, 2019. 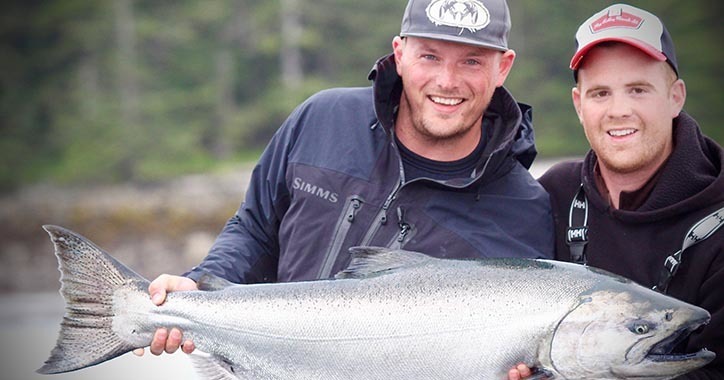 Born and raised in Victoria, British Columbia, Brent spent many of his childhood days fishing with friends and family. Angling turned into an obsession during his teens and led to the pursuit of professional guiding, which he continues to do today. Brent’s charter company, Pacific Pro Charters, explores the waters from Victoria to Port Renfrew in British Columbia, Canada. His 30’ Northwest Aluminum Craft is outfitted with SHOXS suspension seating – a SHOXS 6155 at the helm and dual SHOXS 6300 companion seats on the port side. Modern boat design calls for higher horsepower and ever more durable hull materials. The resulting situation - boats are faster than ever, and can travel longer distances. For offshore watercraft, even at modest speeds, the accelerations associated with wave impacts are substantial, and the accumulation of exposure can have lasting consequences in the form of acute injuries and chronic pain. Unwary crews and passengers may learn this painful and sometimes dangerous lesson when they slam into their first wave. The wave environment is complex, but there are proven ways to lessen the severity of impact. Shock-mitigating suspension seats have emerged as a leading counter-measure to these impacts, and acceptance by end users continues to grow. However, a lack of consistent performance measurements has hindered the industry’s development, and resulted in a lack of verifiable product comparison data for buyers. As the saying goes, if you cannot measure it, you cannot improve it! Every boater knows that time spent exploring the water may come with a price: back pain and injury sustained over years of enduring pounding from wave impact, even in relatively shallow water and smaller, lower profile boats. Joe Isley, Jr., a flats boat owner and member of the boating industry, knows better than anyone. SHOXS helm seat mounts helped to get him out on the water again after surgery to repair the pain in his back. Joe Namath once famously said, "If you aren't going all the way, why go at all?" 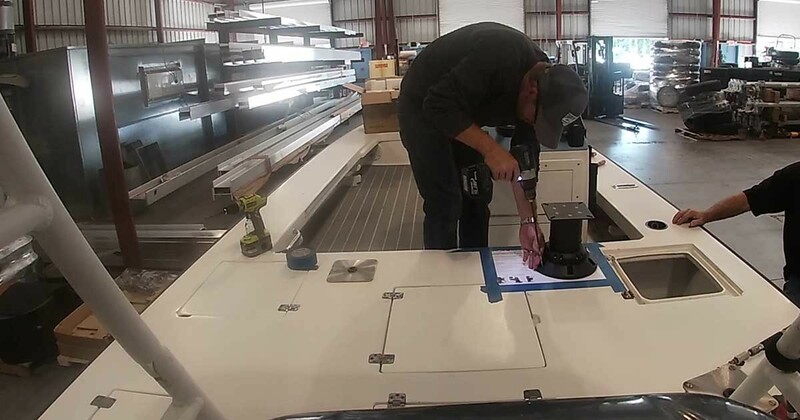 Safehaven Marine embodies this attitude through their mission to build high-quality patrol boats and consistently push their limits with real-world testing. In 2017, a Safehaven Marine boat set a world record for circumnavigating Ireland. Never one to rest on its laurels, the company is attempting to shatter yet another world record for Transatlantic travel in 2019. Safehaven plans on attempting to set a new ‘Arctic Circle’ Transatlantic record in 2019 from Canada to Ireland via Greenland and Iceland in ‘Thunder Child II’, a considerably longer voyage than the 2,100 km world record Safehaven set in 2017 in their XSV17. Safehaven Marine chose SHOXS to supply the shock-mitigating seating to ensure crew safety and comfort as they pound through rough sea conditions for the long journey. SHOXS continues to bring the latest technology in shock mitigation and ultimate boating comfort to not just the commercial and military boaters, but now recreational boaters as well. 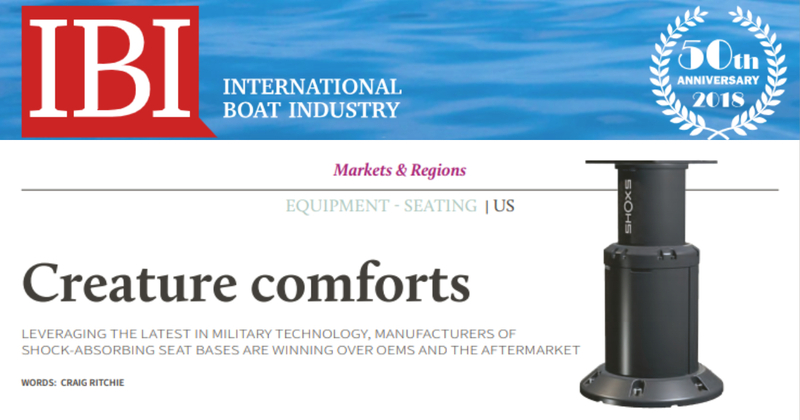 An article in the October/November issue of International Boating Industry magazine features a shift toward the adoption of marine suspension seating in the recreational boating market. 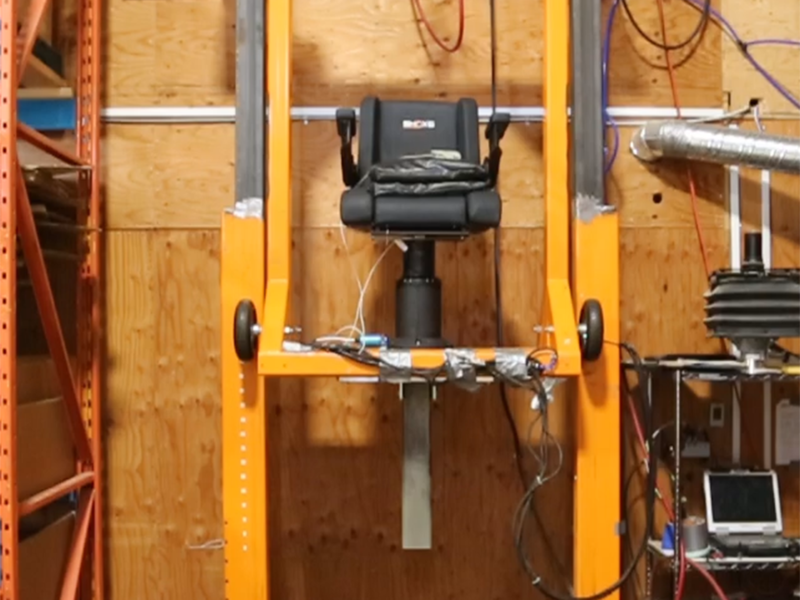 A major reason for that is the technology development of more compact and affordable suspension modules that will integrate with existing seats on the market today. SHOXS is at the helm of this trend with the new X-Series pedestal seat bases, developed recently and designed to offer smoother rides in rough water on any boat, with nearly any seat. 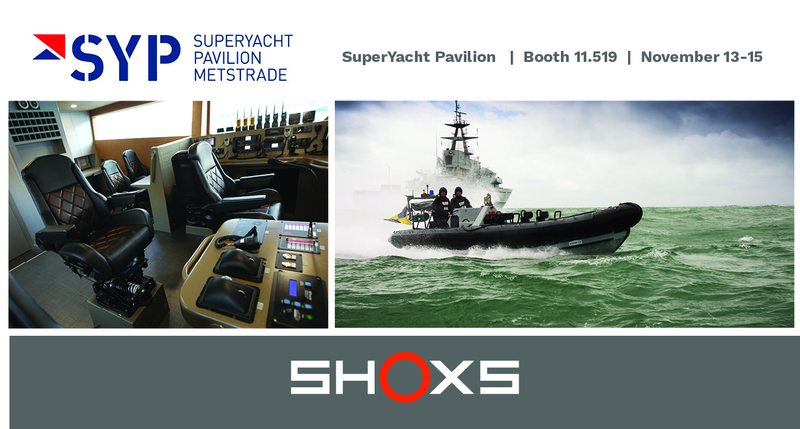 SHOXS is headed to Amsterdam November 13-15 to be part of the world's largest marine industry trade show, METS. Showgoers will have the chance to check out nearly the entire line of SHOXS jockey and bucket seating in our booth in the SuperYacht Pavilion. The award-winning X Series shock-mitigated seat mount pedestals will be on display, both combined with a seat and shown as a standalone unit. Our team will be on hand to answer questions, share technical information, and help you design the ideal configuration for your next boat program. 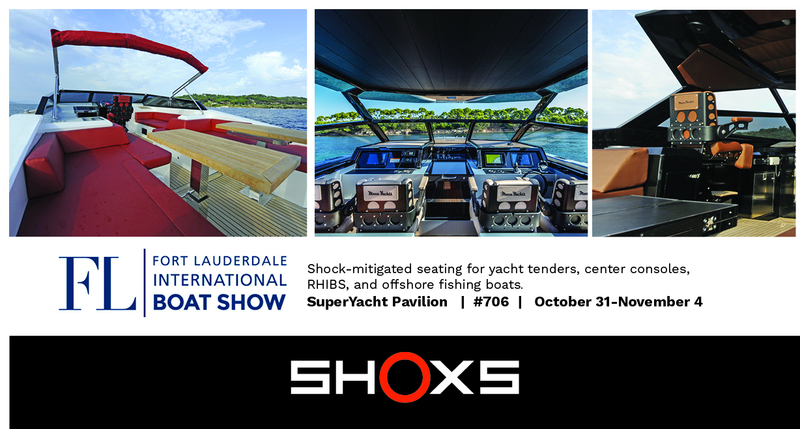 Visit us in booth 11.519 and see why SHOXS is the global industry leader in shock-mitigated seating and the #1 choice for boat builders around the world. SHOXS is on display at the 59th annual Ft. Lauderdale International Boat Show from October 31-November 4th, 2018. Every year, the show exhibits a wide array of the boating industry's best equipment for the nautical lifestyle. SHOXS will have the new X-Series pedestals on display, as well as a SHOXS 3400-X8 for boaters to see up close and personal. Military-grade shock-mitigated seating is here to revolutionize the recreational boating industry with pedestals that can accommodate any marine seat on the market. Custom upholstery, logos, and colors are available to personalize your seating and match your boat styling. Be sure to visit us the SuperYacht Pavilion in booth #706 to learn more about our proven track record with many high-profile military boat programs, precision engineering processes, and high quality seating that can make your days on the water safer and more comfortable.